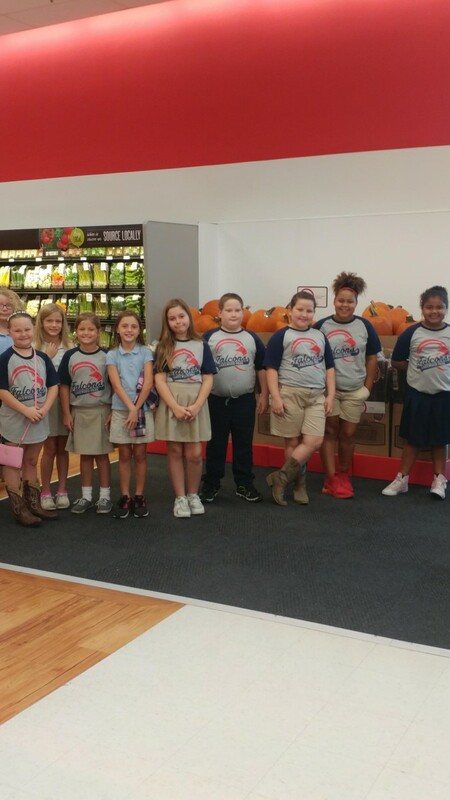 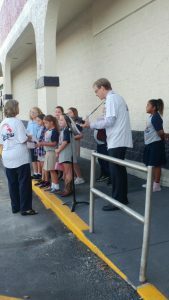 What a great performance by the Lakewood Park Winn Dixie Chorus on September 20th at the Lakewood Park Winn Dixie Grand Re-opening. 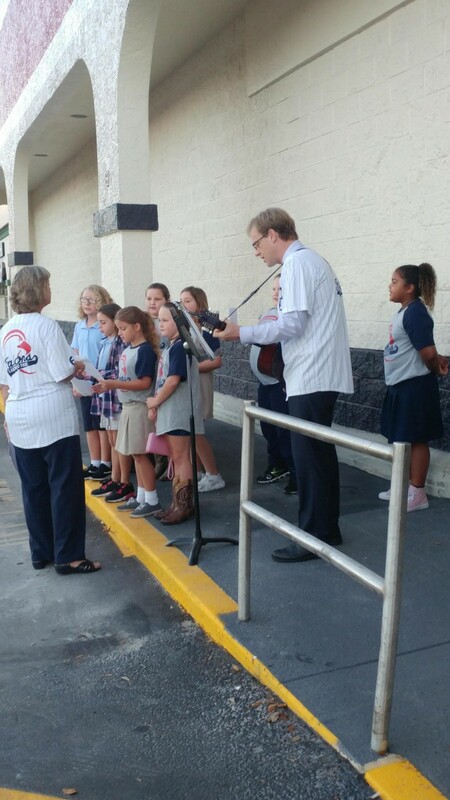 The students sang America the Beautiful, This Land Is Your Land, and debuted an original rendition of Take Me Out to Winn Dixie in the style of the classic baseball anthem. 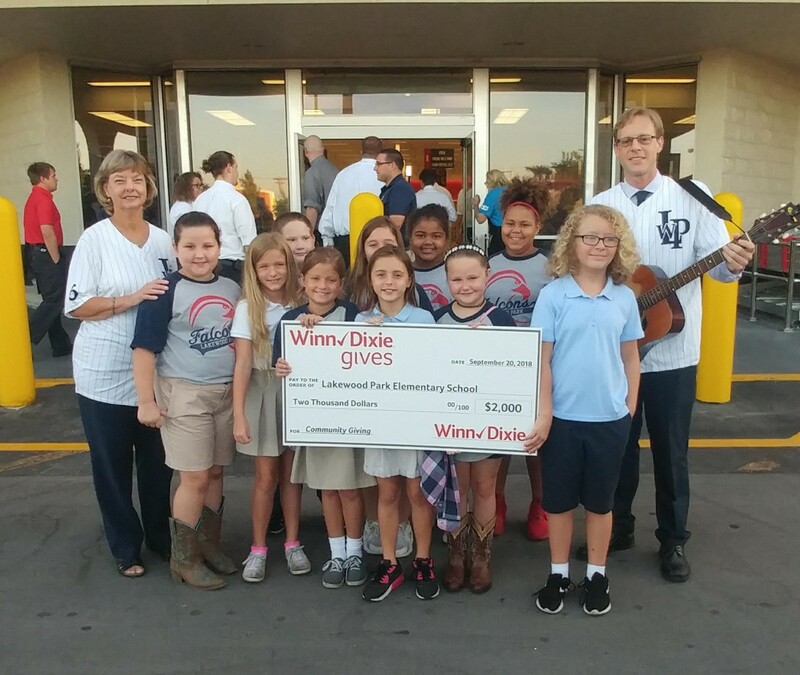 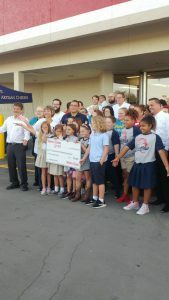 (copyright pending) Winn Dixie was also very generous to donate $2,000 dollars to Lakewood Park Elementary. We look forward to a continuing partnership throughout the school year and into the future as the Lakewood Park community grows.